Best practices evolve constantly and no two markets are alike, but that's no reason to keep reinventing the wheel, or in this case; your digital publishing strategy, from scratch. Take a look at how some of Europe's most interesting media houses succeed with their digital strategy. The Danish media group Jysk Fynske Medier is characterized by their consistent work of improving their digital business. Especially in terms of monetization and attracting new subscribers. Learn about their latest onboarding campaign in this customer case. In Mid 2016, Jysk Fynske Medier created a Data & Audience team with the mission of optimizing advertising and subscription sales. It was a large investment of 30M DKK (4M €) over a three-year period, but the return on investment have already proven to be significant for Denmark's second largest media company. Most recently, Jysk Fynske Medier have been running a voucher campaign offering potential customers a month complimentary access to their subscription newspapers. “We made a thousand vouchers for each of our 13 daily newspapers and offered these through various channels. That being on a landing page, through Facebook campaigns and directly in the Nyhedskiosken app, where we expose it as interstitials in the non-gated weekly newspapers. This has been a very interesting case for us and we sent out the first 4000 vouchers in no time.” says Dennis Vesti Brorsen, Head of Data & Audience. He tells that the voucher campaign has generated just short of 5000 leads by now with approximately 4500 coming from their Facebook campaigns. And the result speaks for itself. 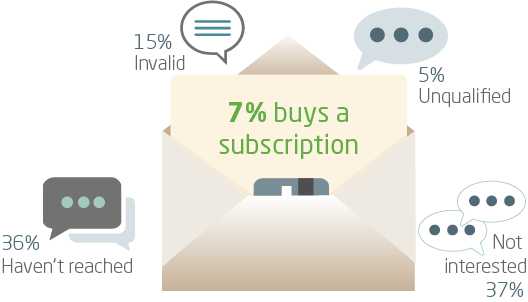 So far, they've been able to convert seven percent of the leads to a paid subscription. The campaign has undoubtedly been a success, but there is still room for improvement and Dennis Vesti Brorsen points at the invalid leads - that being leads who've provided an invalid phone number - as a group that can be reduced with a simple fix. "The challenge has been to ensure a good lead quality. We know that the email address is genuine, because this is where we will send the voucher code. But the leads do have the option of providing a fake phone number making it impossible for our telemarketing team to reach them. So, we want to try sending out the voucher codes on text messages instead. That way, we ensure they provide a genuine phone number," he explains. Vouchers can be generated by Visiolink for a symbolic fee and can be made with a single generic password or multiple unique passwords. Jysk Fynske Medier chose the latter because they want to track how often the voucher codes are used by the individual user once this is possible. “We are currently awaiting an update of our app which will enable us to closely monitor the usage of each voucher code through Google Analytics. By doing so, we will know when a specific lead has logged in 15 times for instance and this is highly valuable information for our telemarketing team who will try to convert the trial to a paid subscription,” he says. Jysk Fynske Medier previously enjoyed great success with a trial-campaign that offered a combi-subscription at a reduced intro price of 49 DKK (6,50 €) the first month. The campaign led to an increase of 50 percent in combi-subscription and an impressive conversion rate of 23 percent. Dennis Vesti Brorsen shared this story at the Inspirational Tour in Oslo early this year. Watch his presentation above. If you're interested in trying out a voucher campaign yourself then don't hesitate reaching out to your Visiolink contact. They'll be more than happy to help you get started. More newspapers choose to have their entire backlist of previous editions digitalized and distributed through their ePaper solution. A digital archive is indeed a large investment, but according to Danish news group Folketidende Gruppen it’s worth every penny. As a step in a major overhaul back in late 2016, Folketidende Gruppen launched a digital archive with all previous editions of their primary newspaper “Folketidende” - dating back to the newspaper’s foundation in 1873. At the same time, they dropped the print-only subscription and converted this into an “all inclusive”-subscription with access to the ePaper and thereby the archive. "The digital archive was and is an important tool in our digital strategy. 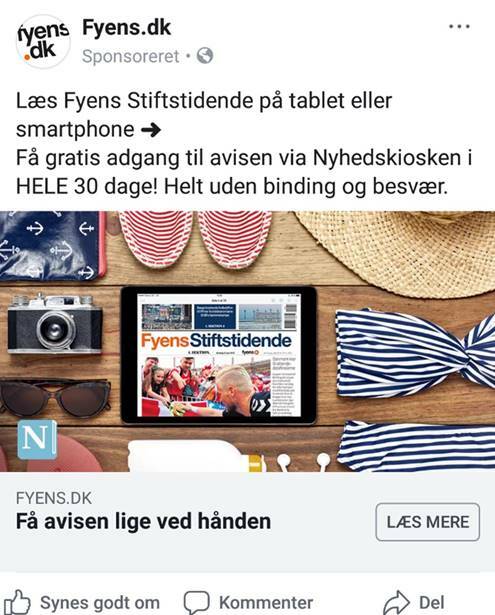 The implementation was the first step of our digital transformation as it was a good opportunity to emphasize the value of our ePaper,” says Michael M. Benzon, Online and Digital Manager at Folketidende Gruppen. Folketidende is a rather small newspaper on a European scale with 11.000 subscribers and an estimated 33.000 readers according to the latest Kantar Gallup figures. So, one would think that digitalizing nearly 150 years of work would be too big an investment. But Michael M. Benzon assures that it's far from the case. “We saw it as an investment in our readers and we were hoping that it would result in increased revenues in the long run. Our readers are in the high end of the age scale, so a searchable archive dating back to 1873 was very appealing to them,” he explains. “Half a year after the launch, we increased the subscription prices with the biggest amount to date - at a time where we wouldn’t normally be making price adjustments. Despite of this, we experienced the fewest number of terminations ever. So, the big effort and investment around the launch really paid off." Folketidende experienced a tremendous impact following the launch of their digital archive. But they've also put many resources into it to create awareness about the product. “We promoted the archive, informed the print subscribers about the ePaper and used all of our own channels to tell about the archive. We made features with local celebrities, e.g. with an athlete who made a big result in the ‘70s and linked it to the paper from that specific day. We invited our subscribers to workshops at our three editorial offices where we would tell about the archive and how to use it while they enjoyed a cup of coffee, a beer or a soda. So, we invested quite a lot in our readers, and I believe that our consistent focus on the ePaper was the primary cause to why the readers chose not to quit," tells Michael M. Benzon. “We experienced a doubling of pretty much everything. More people downloaded our app, we onboarded more readers and our page views went up. We received an overwhelmingly positive feedback on our workshops, and we can see that the archive is being used extensively." Michael M. Benzon is not hesitant to recommend a digital archive to other media groups who're looking for a way to revitalize their old content. "My best advice to everyone who’re considering getting a digital archive is just go for it!” he says. “The archive launch has really emphasized the value of our ePaper. We’ve obtained more subscribers, and our phoners now have more good arguments when trying to sell our product. But the archive also has great value internally because our writers use it to find old articles etc. So, there’s an economical saving as well because we no longer need to have archives two places - it's all gathered in our ePaper." If you want to learn more about digital archives, how your old print papers are digitalized and how it's implemented in your ePaper, then get in touch with your Visiolink contact. They'll be happy to answer your questions. Also, make sure you get a copy of our Archive Report. It can we downloaded by clicking below. German newspaper Nordwest-Zeitung (NWZ) has a very popular ePaper, and they have obtained a subscriber base that exceeds even their own expectations. Through an innovative yet customer-centric approach they've succeeded in accustoming their readers to the ePaper. 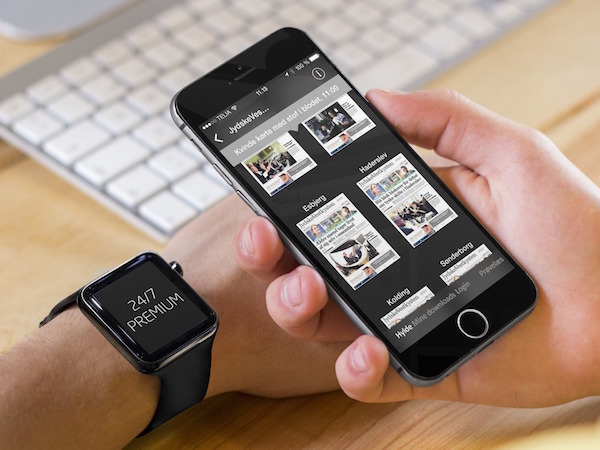 With 15.000 ePaper subscriptions, the digital edition accounts for nearly 14 percent of NWZ’s total subscriber base. In order to reach this level, the Oldenburg based newspaper took creative measures. They opened a store for the sole purpose of selling their digital products, and half of the ePaper subscribers were onboarded through a “Bundle offer” which is basically an alternative installment plan for a tablet. “A few years ago, we opened the NWZ Media Store in the Oldenburg City Center. In the store, specially trained people from our company could explain potential customers the benefits of choosing a bundle offer. And all the activities in the store were concentrated on selling the digital version. 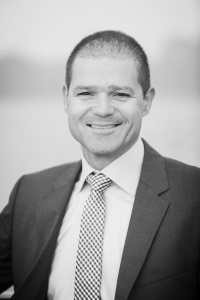 So that’s a big factor in the success we’re experiencing” says Dirk Poelmann, Senior Product Manager at NWZ. The NWZ Media Store is closed today, but all the store activities have now been moved to the NWZ headquarters. So, customers can still go there if they want to get the tablet bundle, need technical support etc. Just as if it was a regular store. NWS Media Store (picture) opened in October, 2012, but closed down after two years, when the German newspaper decided to move the store activities to their headquarters in Oldenburg. Depending on which device the customer wants, down payment and additional installments may apply to the bundle offers. But they all come with a subscription for the NWZ ePaper with an extended binding period of two years. “If you look at how we sell our ePaper as an addition to the tablet, big part of it is to make our customers loyal. A regular digital subscription often just has a binding period of one to three months, but the bundle offers give us extra time to make the readers more loyal and accustomed to the ePaper and other services,” he explains. Read more: Volksstimme on new iOS-app: Readers are in for a treat! The influx of new ePaper subscribers is a very important factor to NWZ’s overall business strategy, Dirk Poelmann says. “Print sales are declining and the ePaper is one important part of keeping our subscriber level high and to work against lower subscriber rates." And the increased focus on the ePaper extends throughout the organization. 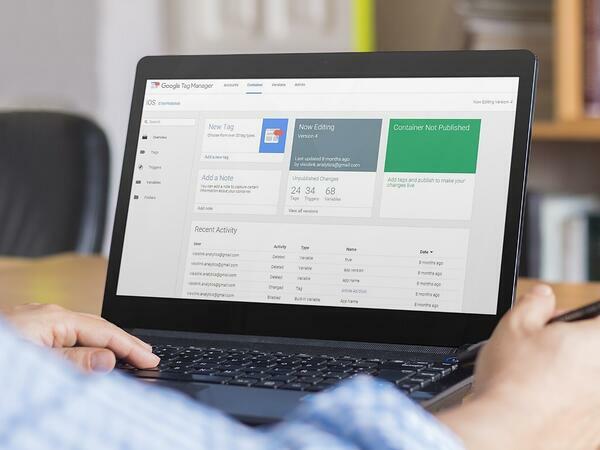 “Every service center agent in our company is able to solve first level technical problems the client might have, so there’s rarely any need to connect them to two or three other people in the house that might have an answer. Every promoter on the street can explain the product in detail. We have bundles and we offer help to our elderly clients to train them in using tablets." The NWZ ePaper receives great reviews on App Store and Google Play, and according to Dirk Poelmann this has a lot to do with the fact that NWZ does a lot to please their subscribers and help them get the most out of their solution. And they gradually try to make all their subscribers accustomed to using the ePaper by including it in their various subscriptions. “We've started offering free access to online services as well if you’re an ePaper subscriber. Or if you’re a print subscriber, then we’ll offer them an ePaper account for a different local edition, so we try to bundle the access to the ePaper with access to other services. Hopefully that will make them even more loyal,” he reflects. The Nordwest-Zeitung ePaper includes seven local editions and a digital archive with issues dating back to April, 1946 where the German newspaper was established. Basically the archives have no value until someone reaches in to them, views the microfilms or gently turns the century-old pages in their hunt for source material. But what if newspaper archives were instantly accessible and searchable? What if anyone could tap into the riches of history and discover stories and events as seen by those who actually witnessed them? Building digital archives seems like a no-brainer. Scan the old paper editions or microfilms, store them on a webserver, and boom! History for everyone. In reality it's slightly more complex but you get the idea. The real question is; what's in it for the publishers? Their frequent readers get access to an abundance of historic content, but where is the business model? 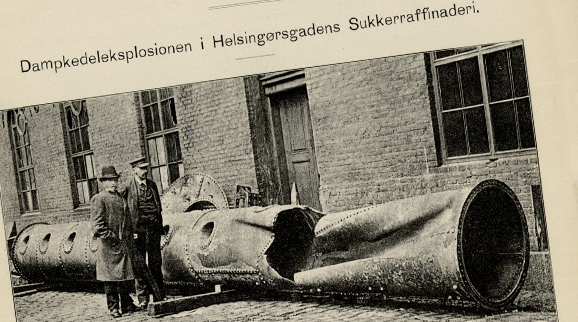 Ingeniøren (The Engineer), a Danish technical industry newspaper, digitized their archives with more than a hundred years of technical journalism and history. The project was partly crowdfunded by readers, and Ingeniøren has no economic interest in the now public archive. That's not to say that the past is worthless. Instant access to archived editions of newspapers allows the use of historic knowledge in new journalism, giving journalists previously unimaginable access to source material. Newspapers are high credibility witnesses to the evolution of society and culture. By embracing that past, they are able to create strong ties to both present and future readers. But is that enough to make extensive archiving valuable to the publisher? And would readers be willing to pay for archive access? What do you think? Could the past be part of the newspaper business model of tomorrow? The feature is now available for all major platforms and multiple devices, such as laptops, smart watches, tablets and mobile phones. Today, you have the ability to send images and interactive buttons, which all contribute to enriching the user experience and increase user engagement. As such, Push Notifications has proven to be an effective tool to achieve user retention and increase the usage of apps. As you will see in this case from Ekstra Bladet, one of the largest Danish newspapers, Push Notifications hold many great opportunities for the media industry - if you do it right! We have compared various data from Ekstra Bladets ePaper, eBladet, before and after implementing a Push Notification campaign. This was to investigate the relationship between Push Notifications and the number of downloads. The effect of the Push Notification is clear. Let’s have a closer look at some of the details. If we look at the data from the Push Notification campaign, there is an overall increase in the number of downloads of 9,2%. While this is pretty impressive, a greater effect appears if we isolate the period just after the notification is pushed. In the first hour after the Push Notification is sent there is a total increase in downloads of 22,7%. This means that a brief message sent to your readers can potentially increase readership by more than a fifth. And that’s not all. If we compare the data from weekdays with the data from weekend days, there is a slightly greater impact of the Push Notification in the weekend days. Thus, it is important to send Push Notifications for weekend publications as well. eBladet sends two Push Notifications pr. day – one at 06:00 AM and the other at 09:00 AM. The first Push Notification (06:00 AM) had a greater impact on the number of downloads than the second (09:00 AM). Downloads increase up to 28,5% after the first Push Notification is sent, whereas the second only caused an increase of 11,1%. This could indicate that the first Push Notification has a greater impact on the number of downloads, than the second. However, it is important to note that the timing of the two Push Notifications could play a significant role. Furthermore, the two Push Notifications were sent out with only a few hours in between – this could also influence the effect of the second Push Notification and requires proper A/B testing to ensure the most optimal outcome. “We have this idea of a use pattern, a hypothesis we would like to test, where users focus mainly on the shorter stories together with the front bearing stories in the morning and tune in on a more extensive article later in the day – an article may be too time consuming for the morning but more readable during lunch,” says Thomas Svensson, Marketing Manager at Ekstra Bladet. 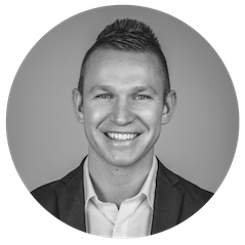 The less significant effect of the second Push Notification led Thomas Svensson to take action and move the second Push Notification from 09:00 AM to 11:00 AM. As he explains, the action is based on a hypothesis that more time-consuming articles were more likely to be read during lunch break or later in the afternoon. As illustrated above, the effect of the Push Notification is especially great in the first hour after the Push Notifications were sent. Therefore, this particular timeframe is interesting to explore further. If we look at the data from this specific timeframe and distinguish between weekdays and weekend days, the span is even more substantial. The effect one hour after the Push Notifications are sent, increases on weekdays to 20,6%, where weekend days experience an increase of 27%. This underpins the importance of using Push Notifications in the weekends as well. The difference is illustrated in the graphs below. The data is converted to indexes where the reference points are set to the periods before the Push Notification campaign, and hence constitutes index 100. By implementing Push Notifications, the number of downloads rose significantly – especially in the first hour after sending the Push Notification. The fact that the first Push Notification (06:00 AM) had greater impact on the number of downloads than the second Push Notification (09:00 AM), indicates that the timing of the Push Notification is important – both in terms of the time of day, but also in terms of the timing of the Push Notifications in relation to each other. In general, analytics and measurements are crucial tools for an app’s performance and success. Analytics provide the necessary data to evaluate whether a campaign works satisfactorily or not. For any Push Notification campaign, it is essential that both the timing and the value of the concerned messages are right, in order for them to drive action. As an example, when Ekstra Bladet sends out Push Notifications, much of the value is attributed to the users’ experience of product delivery. The need for this delivery experience already had Ekstra Bladet’s attention because of its desktop users. Here, users receive an email and as Thomas Svensson explains: “users see this as product delivery, and simply calls in if the mail is not delivered, even if the newspaper is actually delivered. If the mail is not received, the newspaper is not delivered”. 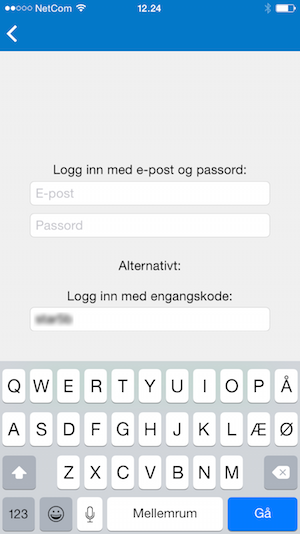 This exact experience is what Ekstra Bladet wants to transfer to its app. Furthermore, Thomas Svensson believes in a higher perceived value by users when the reading increases. As he argues: “when paying for a product, a greater satisfaction is experienced when the product is actually being used”. 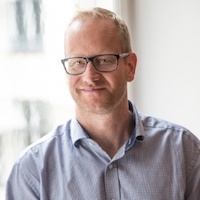 For this reason, he is also looking into how Ekstra Bladet can engage users in the evening, for instance with TV, crossword puzzles or other such features – even though these are offered for free, they enhance the perceived value by engaging users. The newspaper business is constantly changing. More media companies are considering new strategies to keep up with an industry in which readers are moving away from printed newspapers and are embracing new, easy-to-access digital versions. This development means that media houses are looking for new solutions to help them gain more readers and avoid losing existing readers. How can you increase the chances of making your ePaper a success? One publisher chose to differentiate pricing, which proved to be an effective strategy for generating more readers. Let’s take a look at the case in question. 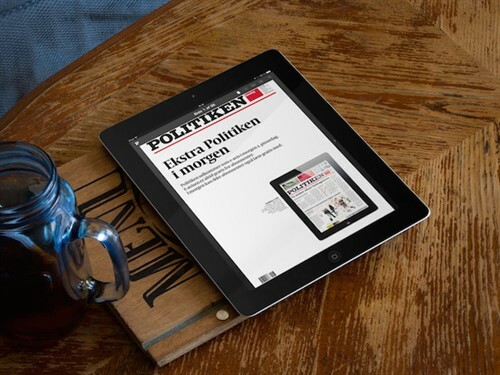 In March 2013, the Norwegian publisher Dagbladet began its digital journey by launching the ePaper ‘Dagbladet Pluss’. ‘Dagbladet Pluss’ is a complete digital version of the publisher’s printed newspaper. 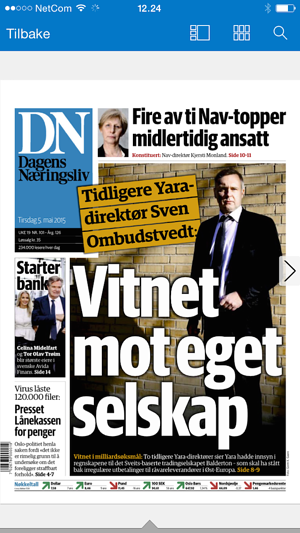 ‘Dagbladet Pluss’ subscribers get the ePaper, a printed version of the paper every Saturday and stories that other readers cannot find anywhere else. The ePaper is available on PCs, tablets and smartphones, and subscribers can read it anywhere, at any time and as much as the subscriber wants. Before launching the ePaper, Dagbladet was a single-copy-sale newspaper, and it didn’t have any experience with handling subscribers. ‘Dagbladet Pluss’ became a reality after the company realised something had to be done to keep up with the rapid development publishers are facing today. Like many other media houses, Dagbladet experienced a decline in sales and chose to take action. The results of its efforts were significant. In one year, Dagbladet registered more than 23,700 new subscribers. Since the launch of their ePaper in March 2013, Dagbladet has registered 78,000 new subscribers, and the company currently has over 22,000 paying subscribers. However, Dagbladet experienced more than an immediate increase in the number of subscribers. Today, over 100 new subscribers join every day on average. Since January 2015, the number of paying subscribers has increased by 125%. What did Dagbladet do to get over 100 new digital newspaper subscribers for its ePaper every day? The company implemented a new price policy. 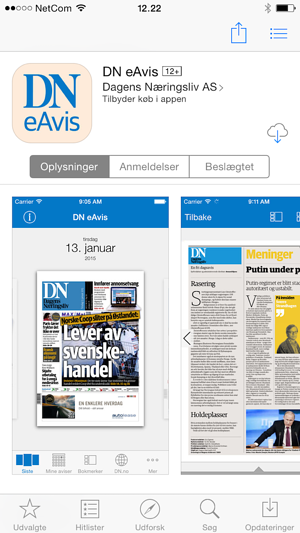 The publisher chose to make its ePaper available for 59 NOK per month (6,31 EUR). To raise interest, Dagbladet even ran a price campaign in which subscribers could access ‘Dagbladet Pluss’ for 6,31 EUR for the first three months. If you do the math, this means that subscribers could buy the ePaper for only 0,05 EUR in those three months, while the printed version costs 2,67 EUR. This 45-day campaign gave the publisher 6,000 new full-year subscribers. Considering the numbers, this new strategy has proven to be a huge and highly important success for Dagbladet. ‘A new strategy is essential for us, especially when we know how the development in other European countries has been. Newspaper stands in shops are disappearing, and we fear that the same will happen in Norway. 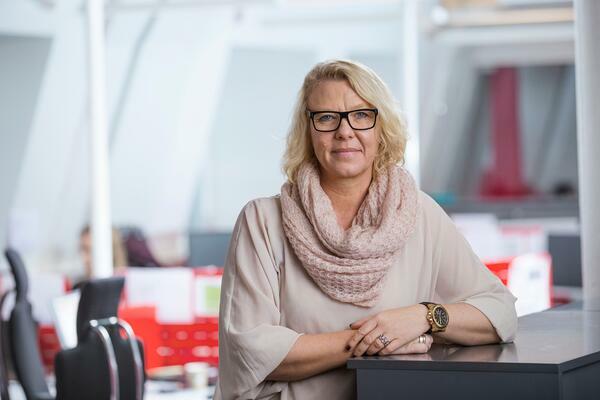 In that case, our most important sales channel and contact surface are gone’, says Lene Hordvik, Digital Manager at Dagbladet. Lene Hordvik, Digital Manager at Dagbladet. ‘We realised that detailed knowledge about our readers’ habits has become very important for us if we want to succeed digitally. In the next six months, we will therefore establish a new platform which makes it possible for every reader to tailor the offer’, Hordvik says. Obtaining knowledge about reader habits can be very useful for media houses as they attempt to ensure future success. Visiolab works with strategic business intelligence in the media industry and makes surveys that cover a number of important issues. For example, Visiolab found that readers prefer the ePaper to be released the evening before the printed newspaper is available and that readers prefer the portrait orientation. Another interesting observation is that making content available on desktops, phones and tablets seems to be a winning combination. Knowledge such as this can play a significant role as media houses develop mobile news content strategies because it clarifies readers’ preferences for news content. ‘In order to be an important part of readers’ everyday life, we need to have detailed information about their reading patterns. However, this has to happen without our readers noticing it. You can call it a sophisticated form of surveillance’, Lene Hordvik says. Every night we process more than 1.000 digital publications automatically at Visiolink. For whatever reason, we sometimes receive corrupt data in the form of missing pages or file name errors. When that happens, the processing fails and the e-paper does not meet the deadline – a critical error that many media houses are spending large amounts on surveillance to avoid. For newspapers and magazines, unavailable content can have very costly consequences, and is simply not an option. Therefore Visiolink has developed Publication Availability Watch as an add-on service, and has been offering around-the-clock protection against the problem since November 2014. In March 2015 the surveillance team proactively caught 32 publications that had missing pages. They were able to contact the newspapers, which then corrected the mistakes, and together we ensured that every publication hit the digital shelves on time. Since they were spending a lot of resources on surveillance, Jydske Vestkysten, a local Danish newspaper with more than nine daily publications, 365 days a year, asked us for a service that could ensure timely digital publication. Before Publication Availability Watch, it was often the e-paper readers that alerted the newspaper of mistakes in publications. However, that is no longer an issue since any mistakes are caught before the deadline, and the inconvenience never reaches the reader. Since Visiolink started the service, we have been working in close collaboration with our clients to develop and ensure stability in our service, and today we have an average customer satisfaction rate of 98%. Publication Availability Watch is part of 24/7 Premium, which also covers 24/7 Customer Care. *Jydske Vestkysten is published by Jysk Fynske Medier. This case is a description of a real-life experience of a very nice approach to including e-papers in a promotional campaign, connected to an everyday situation. It is a setting that happens at hotels all over the world when a hotel guest is checking out. At most hotels, the personnel will happily get the taxi ordered, but not at this particular hotel in Oslo. Not because of unkindness, but instead I am now told, that I can quickly order the taxi myself at the iPad standing on the desk just a couple of metres from us. 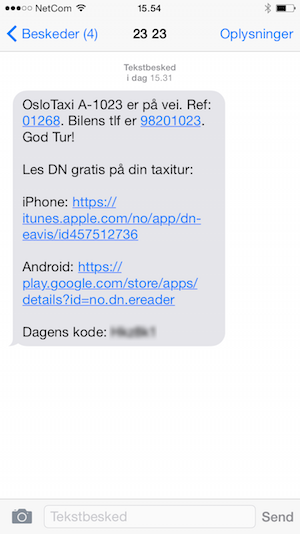 Here is the interesting part: along with the taxi information, the text-message includes information that I can access today’s business e-paper Dagens Næringsliv for free! Now I am swiftly offered a free newspaper to read while I am in the taxi – or later in the day for that matter. I just click the link to either the Apple or Google app store and download the app. From the app, I can now quickly key in the voucher code from the SMS. Voila! I now have access to today’s paper directly on my smartphone or tablet. This is a well thought-out process of integrating voucher codes into a daily life situation and an excellent way to make your audience interested in your digital newspaper offerings. *Dagens Næringsliv is a Norwegian newspaper specialising in business news. You can download the DN Apple app here or the Google app here These apps are developed in collaboration between DN and Visiolink. Previously on the blog, we announced a long list of graphic and layout improvements to DYNAMIC. Magdeburger Verlags- und Druckhaus, a German media company based in the city of Magdeburg, publishes 18 different local editions of its Volksstimme newspaper, and is the first to have implemented the new DYNAMIC in the company's iOS app Volksstimme digital. "DYNAMIC gives readers a smooth-running transition from the classic newspaper layout to the device-optimised display, without having to compromise on content, and it's easy for the reader to navigate between teasers and full articles." We have compiled a series of screen shots from the Volksstimme digital app that show the new design on both iPad and iPhone. We have worked hard to come up with a design that makes use of graphic effects from the printed newspaper, so that the reader feels confident that the newspaper's content is the same regardless of whether it is read in the replica version, in print or in DYNAMIC. As experts in digital replica products, it is not our task to deliver radically groundbreaking alternatives to the printed newspaper. Instead, our job is to innovate the product itself so that new readers are gradually enticed, while existing readers do not lose interest. We still believe that the newspaper, in its traditional form, is a strong product with healthy roots and proud traditions. The DYNAMIC display format should therefore be seen as a reinterpretation of the newspaper's premises onto digital platforms, as well as a supplement to the replica edition ‒ developed with respect for the values that characterise the printed newspaper. The market for digital solutions for and from the print media industry is immense, and DYNAMIC is an attempt at consolidating a hybrid format that combines the best from the printed newspaper and the digital platforms. We believe that DYNAMIC, with its ability to maintain the prioritisation of the newspaper's content and its clear connection to the newspaper's physical version, is a great attempt at creating a solid hybrid format on the content's terms. As a medium, the history of the printed newspaper goes back 250 years, and the risk of disregarding the newspaper's social, institutional and historical significance is imminent if one simply makes a clean cut and entirely removes the content from the context of the paper. However, we also believe that the replica format faces challenges on smaller screen sizes, and that it does not support the current trend of smaller newspaper bites taken by users on the go or during small breaks throughout the day. By providing quick access to an overview of the newspaper's articles, and to the articles themselves in a reader-friendly format, DYNAMIC has optimised the newspaper's content for 'snack news' situations. Meanwhile, of course, readers still have the option of enjoying longer articles. This guest blog post is written by Wim Danhof from Mediafacts in the Netherlands. “Never opt for an all-singing, all-dancing app if your public is not the least bit interested in it. Instead, find out what your customers want today." That was the core message from Peter Idema in his presentation about NDC Mediagroep’s digital strategy at the Mediafacts National Publishing Day on 26 November. Peter Idema sounded a note that is not heard frequently, but one that makes sense. In his presentation about digital developments at NDC Mediagroep, the publisher of the Dagblad van het Noorden and the Leeuwarder Courant, among other newspapers. Where prophets such as Juan Senor were proclaiming that a replica of the printed newspaper on a tablet is a mistake, NDC has just moved back to this approach. "First of all the pricing was wrong: subscribers to the newspaper could also read the paper on their tablet for €1 extra per month. That did not work. Subscribers to the tablet paper alone had to pay €145. Only a very few people went for that option. We then did some research about who did not download the newspaper at all or only downloaded it. That revealed two things. 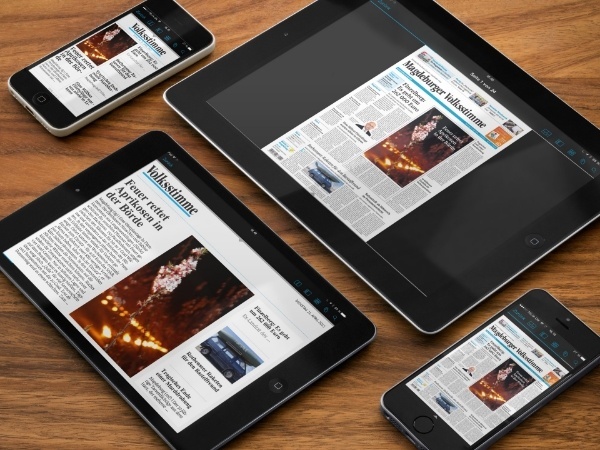 People expected a tablet newspaper always to be on, to have content that is continuously updated, and that during the day new content would keep appearing. That was not the case." So a tablet version 2.0 of the Leeuwarder Courant and the Dagblad van het Noorden in fact went back to a kind of 1.0 version: just a replica of the physical paper, obviously with the option of some digital extras such as video and web links being added. The Danish company Visiolink was chosen as software partner, and they delivered the platform on the agreed date for a fixed price, in the summer holidays of 2013. For subscribers to the printed paper, the ePaper is now available free of charge, while those who subscribe only to the ePaper pay a lower price than the print subscribers. Each day, the ePaper is downloaded between 10,000 and 12,000 times, with a paid-for print run of approximately 120,000 for the Dagblad van het Noorden and 80,000 for the Leeuwarder Courant. The previous all-singing, all-dancing app has, therefore, been replaced by an ePaper that, according to market research, is a better match right now to what the readers of Northern newspapers want. NDC Mediagroep checks diligently when and how web links and videos need to be added to the ePaper. In addition: relevance and the needs of the public they uncovered are now driving the process more than ever. A sobering lesson for a publisher in the sober northern area of the Netherlands. Earlier in this blog, we described the effects of implementing an earlier release of the digital newspaper – to make it possible to receive the latest news the day before readers of the printed paper. However, there are benefits too for the printed newspaper of such an early release. These are now becoming apparent and are well-described in an article last month in the Norwegian journalist magazine “Journalisten”. There is no reason to lay out the newspaper at night. It appears strange that we have not made this change before. It does not affect the quality at all. Rather, I think it will improve the quality of the newspaper when there are more people on the job as they finish the newspaper. Anders Opdahl is very happy with the changes. He believes that those changes are almost exclusively positive and is now focussing to digitise subscribers. Once you reach a critical mass, there is no longer a need for the paper desk at night. Then they will update the AUTHENTIC ePaper or publish updates as a separate night edition. Why in heaven's name did we not do this ten years ago?! Danish engineering magazine Ingeniøren has opened up access to more than 100, 000 pages of old and valuable content. Exactly 100,150 pages of technology and social history, contained in four engineering journals published from 1892 to 1940, are open for perusal. This constitutes the first phase of the digitization of approximately 300,000 pages of the magazine, the heritage of all engineers, Ingeniøren stated on their home page today. Access is free to all those who are interested. The move is very much the brainchild of former editor and current back page editor at Ingeniøren, Erik Lyngsø-Petersen. The works present a detailed record of Denmark's metamorphosis from a wholly agricultural to an increasingly industrialised society, and now everyone can search in the digital archive for terms and phrases in volumes from years past. I must say I am wildly impressed… The quality of the reproduction of the material is excellent. The pictures are clear and harmonious, the ability to search within results impressive, and there is even an option to convert the search result to PDF. You have made great material available via this initiative. You can read more on the background and financing of the project here. The digitization has been carried out in collaboration with Visiolink. Now investigate this incredible resource yourself. During the 2015 Pentecost, we saw examples of digital holiday editions from media houses in both Denmark, Norway and Sweden. "We usually do not produce a paper for the 2nd day of Pentecost, which - as far back as anyone can remember - has been among the four annual days where Politiken was not published. This is not so this time. For the first time we produce a newspaper, published Monday in Pentecost. Certainly we have for years released politiken.dk every day and every hour throughout the year. But this time we publish the actual newspaper also on 2nd day of Pentecost." The editor of Aftenposten, Espen Egil Hansen, tweeted this beautiful image to tell about their new Pentecost offer to the readers. The National Day of Sweden is on the 6th of June and normally means no newspapers. But this year Svenska Dagbladet did a digital-only version. The front-page of the paper they day before, promoting next days digital-only edition. - All three media houses use Visiolink services and products for the digital editions. Flensborg Avis was founded in the aftermath of the 1864 War, when Denmark was forced to surrender to Prussia the regions of Holstein, Lauenburg and Schleswig. As a result, some 200,000 Danes came under German rule. One of them was teacher Gustav Johannsen, who went on to become the newspaper's founder and editor-in-chief and who, as a Dane, had been dismissed by the new Prussian school authority. All 400,000 pages of the newspaper's historical archives have been shipped to Switzerland, where they will be scanned and digitised one by one, so that as of next year, pupils, library visitors, historians and the newspaper's readers will be able to explore history on computers, smartphones and tablets. "It is our intention to advance knowledge and awareness of the Danish minority in the region and its history. It is shocking how little people know about why the Danish minority in northern Germany exists in the first place. For this reason, we are attaching great importance to the informational component of the project. Digitisation of the archives will facilitate full-text search capability and the addition of photos, videos and sound clips to the historical archives to make them a digital multimedia platform well suited to teaching purposes," says Flensborg Avis CFO Thorsten Kjærsgaard. The Slesvigske Samling (the Schleswig Collection), an archive department at Denmark's Central Library for the Schleswig Region, is also playing an active role in the project. The collection consists of 50,000 books and assorted materials and was, like Flensborg Avis, founded by Gustav Johannsen to serve as a library for the Danish population in the then German Empire. The collection's manager, Jan P. Jessen, is already looking forward to being able to offer users a searchable digital newspaper archive. "Digitisation will be a great advantage to users: they will no longer have to fuss with the unpopular microfiche rolls or bound annual volumes. The most obvious advantage, though, is the ability to search by keyword or topic, because it is impossible to know whether exactly what you are looking for is in a given newspaper or bound volume," says Jessen. Scanning the 400,000 newspaper pages will take until the end of the year, after which time Visiolink will prepare them for searching on the web, smartphones and tablets. The 140 years of Flensborg Avis editions constitute a unique historical collection that can be accessed by researchers, historians, librarians and, not least, teachers and pupils north and south of the German border. "Flensborg Avis has been covering major decisive junctures in Danish history since 1869, and this coverage will soon be accessible worldwide. This may help to make Danes aware of the vital role the region has played in their country's history," adds Mr Jessen. The Danish parliament's South Schleswig Committee has provided a grant of DKK 1,850,000 for the scanning and digitisation of editions of the newspaper dating back as far as its foundation in 1869. The project has the backing of Flensborg Avis and two departments at the Danish Central Library for Southern Schleswig: the Studies Department and the Schleswig Collection. The sizeable collection of old newspaper editions was made available by the Schleswig Collection and the Flensborg City Archives. 59 percent of subscribers with tablet access to Folketidende have opted to drop the printed edition, while 21 percent of subscribers say they prefer the ePaper, and just 10 percent have kept the printed edition as their media of preference. These are the results of a new user survey, which Folketidende undertook in collaboration with Visiolink among its paying tablet readers. The figures surprise Folketidende's online manager, Michael Mistarz Benzon. "What is surprising is that there are so many – 59% – who read the newspaper on their tablet only. I believed that readers still preferred the printed edition. The survey also shows, however, that 43 percent of tablet readers rate the ePaper's value at between DKK 100 and 150 a month. This gives us an indication that our pricing policy for the digital paper is quite reasonable. We continue to experience a small rise in our digital subscriptions, which bears testimony to the fact that the digital edition has been well received by our readers," says Michael Mistarz Benzon. The study shows that it is primarily Apple users who read the newspaper on the tablet. Of these, 90 percent use an iPad, with Android devices only accounting for the other 10 percent. "This is also rather surprising, as I was under the impression that many users had bought a cheaper Android tablet. This fits well, though, with the question of how willing users are to pay for content, as willingness is generally higher among iPad users. This is also clear if you look at our single issue sales via Apples App Store and Google Play,” says Michael Mistarz Benzon. The study has been undertaken in collaboration with Visiolink, and builds upon the answers of 98 tablet readers, who were asked to complete a 15-point questionnaire. The results will be used by Folketidende in its ongoing strategic work with sales and marketing of the newspaper, both digital and print. "Before the study, we had neither actual figures nor surveys of our users' behaviour concerning the digital paper. Nor did we have any information about how they felt about the product. Surveys and statistics are of course the path to gaining more knowledge about a product, and this is what best allows us to function correctly in the high-pressure market we find ourselves in at the moment. With this survey, we wanted to gain a perspective of: What do users think about the product? Who are they and where are they located geographically? Is the price reasonable? How do they use the digital edition? The study provided us with an excellent picture – although we had expected more responses, than the 98 we received. Thus the basis for the report is not as solid, as it would be with larger surveys," says Michael Mistarz Benzon. The study only questioned paying readers, as it is not possible to access the newspaper without buying it as a single issue or via a subscription. Folketidende's readers can choose between three different offers: A digital subscription, a subscription to the printed paper or a combined, total package. Subscribers of the printed paper can get a digital subscription for a special rate. "We have chosen to offer three packages, as we believe our product gives high value, and we hope this strategy gives a signal of this. We believe that we are delivering quality content, and that there is value attached to allowing our users to access this content where and when they want and on their preferred platform. With the total package however, we also wish to give out a signal that we hold our existing newspaper subscribers in high regard, which is why we're allowing them to purchase the new digital product at a cheaper rate (DKK 300 for one year). We continue to strive to be the best news provider in our area, and we want to be there, where the readers are, which is why it was a natural step for us to publish on the mobile platforms," explains Michael Mistarz Benzon. When you read the ePaper on the tablet, which of these statements best describe the reasons why you opt to read the paper here? In your opinion, which of the following makes an ePaper worth paying for? 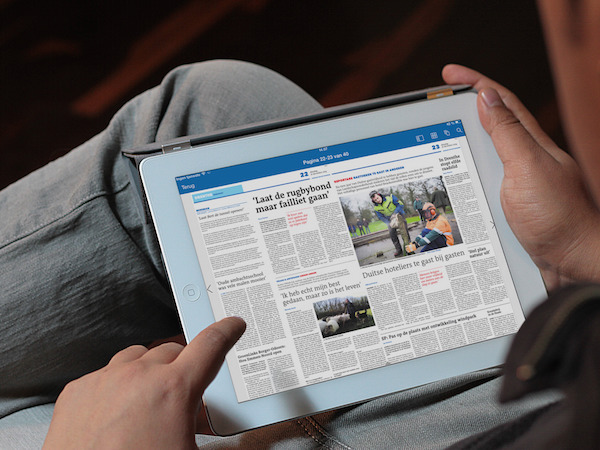 Over the course of a typical week, in which situations would you use the tablet edition of the ePaper? Lolland-Falsters Folketidende, (established 1873), is a Danish daily newspaper covering the municipal regions of Guldborgsund and Lolland. Its head offices are located in Nykøbing Falster. The newspaper comes out Monday-Saturday, with a daily print run of 15,473.